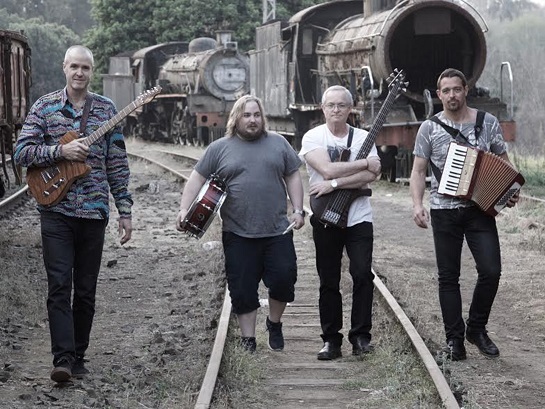 Coming up at the Maritzburg Musicians Club on September 19 will be The Occasionals, a jazz-rock outfit consisting of John Soderlund on guitar, William Reitz on bass, Paddy Austen on drums and Henry van Niekerk on lead vocals and piano accordion. The band's growing repertoire of original music blends unlikely harmonies, rich melodies and groove-based song forms to produce a heady cocktail of original and engaging music. Covers, making up about half of the average Occasionals set, are fresh appraisals of some of the less commonly visited, but most memorable, music of the past three decades, from Joni Mitchell to Thelonius Monk. All guitars used during their performances are hand-made by Soderlund. Also appearing will be Ryno Theron, a solo performing artist from Durban. Releasing his debut solo album last year, Theron has been performing at as many different venues as possible to promote it. After many years of performing and recording with numerous bands in different genres, he has now taken the plunge to start his long time dream of doing a solo instrumental project. Having recently released his follow up EP which showcases more of his acoustic fingerstyle music, he has grown in popularity at live shows. His sound is heavily influenced by artists/ bands such as Pink Floyd, Caspian, Robert Fripp, Guy Buttery and Andy McKee - an eclectic mix. Entrance is R50. Doors open at 19h00.